The Big Lake Convenience, Liquor Store, and Shell Fuel Station. Opened in the summer of 2016, the Convenience Store and Shell Fuel Station features Hot Stuff Deli food, large to-go pizzas, a huge selection of drinks and snacks, a growler bar, beer, liquor, and wine, and a 132 Flavor Coca-Cola Combination Soda fountain. Mix and match for some great soda combinations, the possibilities are endless. You can also grab some nachos or a root beer float made with real draft root beer from our growler bar! We also feature a small automotive section, and health and beauty products as well. Inside the Convenience Store you’ll find the Bear’s Den Liquor Store with a Growler Bar. Pick a 32 or 64 oz size growler and fill it up with one of our many featured local brews. Buy the beer and growler on the same purchase and receive 10% off the price of the growler! Also inside there is a wide variety of liquor, beer, wine, and mixers priced at our everyday low prices. 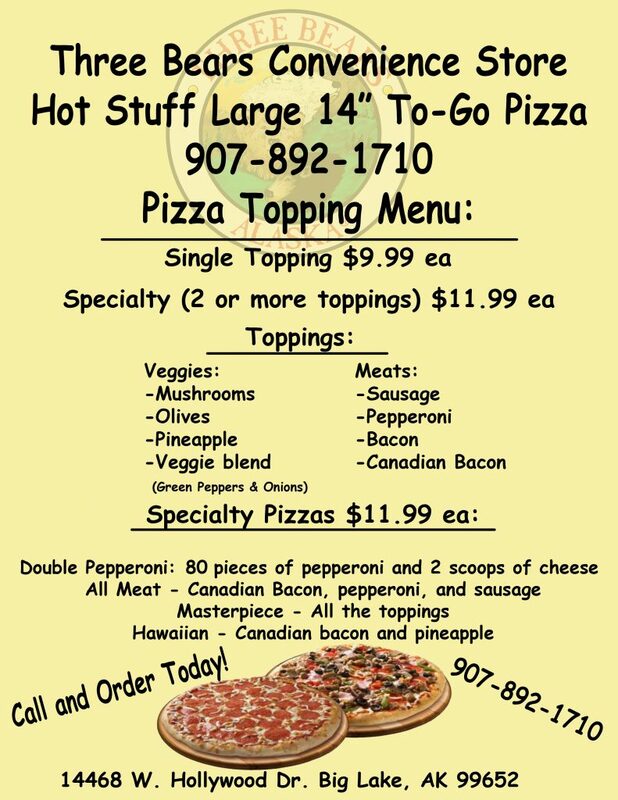 We are now offering large 14 inch, made to order, hot, and ready to eat Hot Stuff pizzas to go! $9.99 for a single topping and $11.99 for a specialty (two toppings or more). 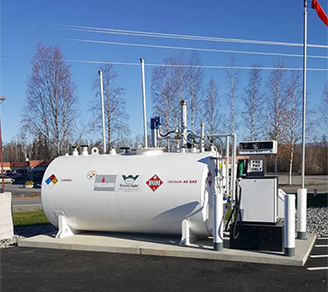 We sell Shell fuel, diesel, bulk propane, & even Avgas. Come during business hours and save 5 cents a gallon when you pay with cash! Monday – Sunday 6:00 a.m – 10:00 p.m.